The European Union is the world leader when it comes to protecting the environment. But despite the high number of laws, sometimes the implementation of these protective measures isn’t made correctly or fully, endangering our natural heritage, our health, and wellbeing. Today, as we are witnessing important changes that threaten life on Earth as we know it – loss of species diversity, climate change, chronically polluted air, chemical exposure and waste pollution – it is more important than ever that the EU take the lead and set a path for the full and timely implementation of strong environmental laws to protect EU citizens and the environment. 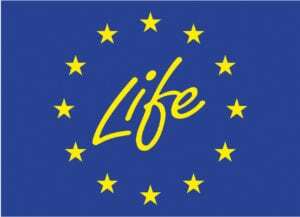 In the European legislative system, once a law, agreed by the Commission, the elected European Parliament and the Member States in the Council, enters into force, each Member State implements them in their national systems. In case of regulations, the laws must be implemented directly by Member States, while in case of EU directives, Member States need to transpose the directive into national law by passing own laws to meet the objectives using whatever measures work best at national level. The EU system often gives considerable discretion to Member States as to how to achieve jointly agreed objectives. To help Member States implement EU laws the best way possible at national level, the European Commission put in place a process called the Environmental Implementation Review (EIR). It aims to check the implementation of environmental laws and put forward recommendations to encourage improved implementation. To do so, nationally focused reports are published every two years, tackling various areas of environmental protection: Agriculture, Air Pollution, Circular Economy, Environmental Taxation, Effective Governance and Knowledge, Marine Protection, Nature Protection, Waste Management, Water Quality and Management. It also aims to encourage sharing of best practices via peer-to-peer collaboration. As part of this project the European Environmental Bureau, Europe’s largest network of environmental organisations with 140 members in more than 30 countries, will help highlight problems in implementation and underlying barriers to progress, identify good practice in implementation, as well as providing recommendations – how to accelerate good practice, and finding solutions in case of gaps of implementation deficits. It will focus, in particular, on the role Civil Society Organisations (CSO) can play to encourage good implementation and what measures are needed to enable NGOs to fully play their role as a voice of EU citizens. This includes enabling timely CSO public participation in EIAs, SEA and relevant permit decisions, a commitment to transparency and access to information and access to justice, including strengthening legal standing to ensure the public voice is heard. NGOs all over Europe have contributed to improving EU legislation and its implementation over the years, fighting for the environment and better protection for citizens. 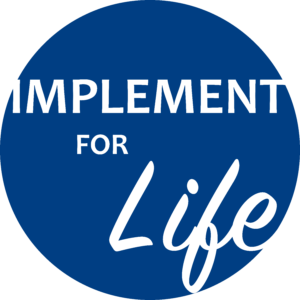 The Implement For LIFE project, carried by the EEB, focuses on the role Civil Society has in supporting implementation of our common commitments, and what more could be done to help NGOs contribute to protecting citizens and the environment. This complements our work on Better Regulation, where we seek to explore risks of deregulation and regulatory chill, and underline the importance of refocusing attitudes towards regulation being invaluable tools to protect EU citizens. The EEB will take advantage of its experience and contacts with civil society all over Europe to highlight empowering civil society’s actions. You can find these stories on META the news channel of the EEB.